The Raconteurs Share Roiling New Donovan Cover "Hey Gyp (Dig the Slowness)"
The Raconteurs are back with a new cover of the Donovan song “Hey Gyp (Dig the Slowness).” The fervent, roiling cover comes in anticipation of the band’s first new album in more than 10 years, Help Us Stranger, due out June 21 on Third Man Records. 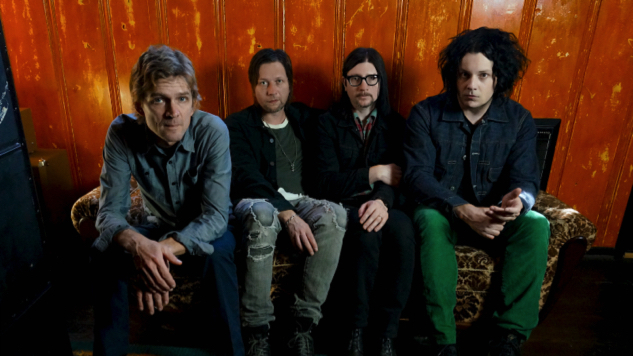 The Raconteurs are hitting the road this summer for the first time since their last album came out. Their extensive list of tour dates will take them through North America, Europe, the U.K., Australia and Japan, stretching from the end of April all the way through October. Check out their full list of dates here and listen to “Hey Gyp (Dig the Slowness)” below.